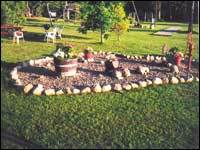 Lake Edward Resort is located in the beautiful Brainerd, Minnesota lakes area. Our resort and the nearby area have many attractions for the whole family. 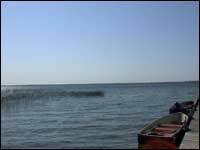 We have a beautiful, clear lake full of fish and great for swimming! The area has hiking trails, lots of shopping experiences and plenty of golf courses. 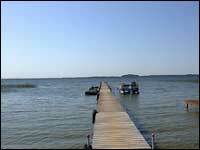 Nisswa (10 miles from resort) has dining, groceries, unique shopping experiences, a water slide and fishing guides. In the summer there are turtle races, art fairs and other events. 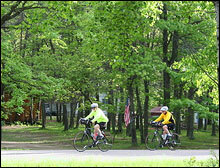 The Paul Bunyan Trail (trail parking 5 miles from resort) is a 100 mile long multiple use trail that runs between Brainerd and Bemidji. There are currently over 50 paved miles. The trail is great for bicycling, hiking, and roller blading. Crosslake (10 miles from resort) dining, groceries, shopping and Crosslake Dam Recreation Area. Pequot Lakes (15 miles from resort) has dining, groceries, unqiue shopping experiences and a visitor's center on the trail with lots of information about the area. Fireworks at many area events!